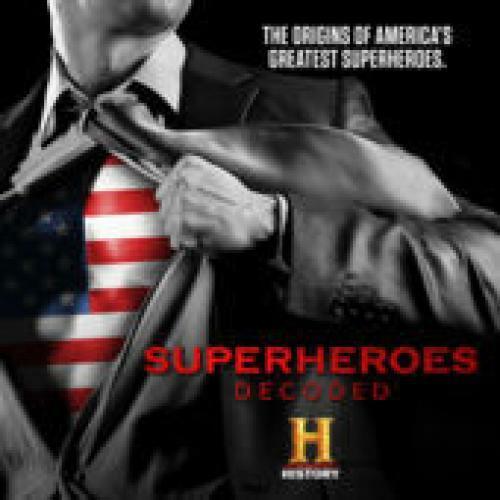 When will be Superheroes Decoded next episode air date? Is Superheroes Decoded renewed or cancelled? Where to countdown Superheroes Decoded air dates? Is Superheroes Decoded worth watching? Superheroes Decoded offers a definitive look at how marginalised, larger-than-life characters rose to the highest ranks of mainstream culture, dominating the box office and becoming part of the global zeitgeist. Told from the perspective of the most influential creators, fan-favourite artists, leading actors and directors, and the foremost experts in popculture, this series chronicles the rise of Marvel and DC superheroes using original art, new animation, never before seen archival assets and rare behind-the-scenes footage. The first part of Superheroes Decoded will concentrate on "the making of the iconic American superhero." From the creation of Superman, Batman, Captain America, Wonder Woman, Spider-Man and beyond, these all-American legends have endured through decades of war, triumph and scandal, constantly evolving to reflect the country's changing values in a tumultuous world. From World War II and Vietnam to Watergate and the tragedy of 9/11, these mythic heroes embody America's deepest fears and greatest aspirations. The second segment of the documentary will examine "the American rebel and how sometimes being a hero means breaking the rules." From the beginning, superheroes like The X-Men, The Hulk, Black Panther, Iron Man, Luke Cage, and Wolverine have challenged authority and fought for outsiders, a battle that reflects the country's most profound real-world divisions and struggles for justice. From their often controversial origins to recent resurgence in movies of today, these rebels redefine heroism for a new generation. Superheroes Decoded next episode air date provides TVMaze for you. EpisoDate.com is your TV show guide to Countdown Superheroes Decoded Episode Air Dates and to stay in touch with Superheroes Decoded next episode Air Date and your others favorite TV Shows. Add the shows you like to a "Watchlist" and let the site take it from there.